Will settlement in exposure limit case lead to more enforcement? OSHA watchers have had their eyes on a case from last fall in which the agency used an industry exposure limit instead of one of its own to fine a company. Now the company has settled with OSHA. What does this mean for other employers? Fiberdome Inc. has agreed to pay a $2,000 penalty and accept a serious General Duty Clause citation for allowing an employee to be exposed to styrene over the industry-agreed-upon level. The original fine was $49,500 for one repeat, seven serious and two other-than-serious violations. The company has also agreed to abate the citation by following the styrene industry’s 1996 agreement to voluntarily adopt an employee exposure limit of 50 parts per million (ppm) over an 8-hour time weighted average. If engineering and administrative controls don’t bring Fiberdome into compliance at its Lake Mills, WI, plant, the company will provide appropriate respirators to employees. OSHA’s permissible exposure limit (PEL) for styrene is 100 ppm. Usually the agency must use its own PELs in enforcement cases. Last fall, OSHA released Annotated PEL Tables that provide a side-by-side comparison of its limits to those from Cal/OSHA, the National Institute for Occupational Safety and Health (NIOSH) and the American Conference of Governmental Industrial Hygienists (ACGIH). A toolkit to help employers identify safer chemicals was also released by OSHA at the same time. It didn’t take long for predictions to surface that the Annotated Tables were OSHA’s end run around updating its own PELs. 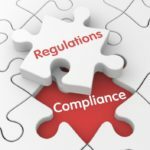 Due to various requirements to establish federal regulations, the process of creating new or updating old OSHA rules now takes several years. At that rate, updating all of OSHA’s PELs, one by one, would take decades. But agency watchers, including attorneys who represent companies in OSHA citations cases, warned employers to abide by the stricter exposure limits or potentially face enforcement action under the General Duty Clause, particularly if the lower PEL is recognized as good practice by industry. Then the Fiberdome case came along. The warnings to industry became more dire. Is it likely that OSHA’s success in the Fiberdome case will lead to more enforcement using voluntary exposure limits under the GDC? It’s a safe bet. The big question is, will this be a tsunami, a wave or a ripple of additional enforcement? At first, count on the ripple. Reason: OSHA doesn’t want to lose one of these cases in the early going. It’s likely it will pick which cases to pursue very carefully, based on which ones it’s more likely to win. This case came to OSHA as a referral from the doctor and lawyer for one worker sickened at the Fiberdome plant, according to the Wall Street Journal. A case involving a second worker was also identified. This wasn’t just a prediction that workers would get sick – it actually happened. An industry group, the Styrene Information & Research Center, adopted its own exposure limit (50 ppm) which was stricter than OSHA’s (100 ppm). It was an established industry best practice that Fiberdome didn’t meet. What’s next? Only time will tell. We’ll keep an eye on it.